Do you want to use on-farm demonstrations in your activities? Do you search for new contacts of demonstration farms in your region? Do you want to showcase your demonstration activities? 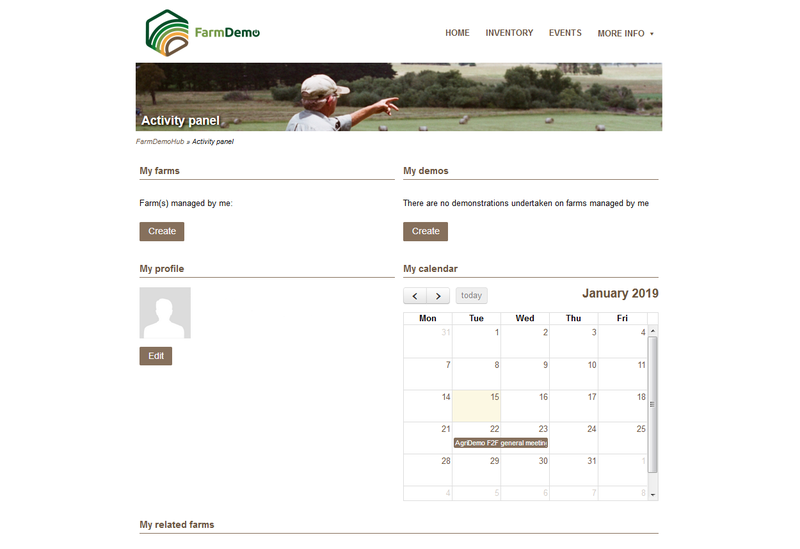 The FarmDemo Hub starts 2019 with the launch of a new version of the platform with improved layout and new functionalities and tools. The hub is a powerful supporting tool for the “on-farm demonstration” community. The tool is of interest also beyond the farming community, offering relevant information for all those involved and/or interested in farms and/or demonstration activities, such as researchers, managing authorities or agri-business partners. It contains an online geo-referenced inventory of demonstration farms and other resources on demo activities. Furthermore, it allows demonstration farms to showcase their events and activities. At this point, over 1000 farms are already registered, and we continuously aim to expand our inventory, so please visit https://farmdemo.eu/hub/ to register your farm and add information about your demonstration events. If you are responsible for a farm demonstration network, and you want to add your farm network to the inventory, please contact us by (farmdemohub@usc.es). Registered farmers now have the opportunity to “showcase” their farm. This allows them to not only provide a farm profile, with basic information about the farm and its activities, but also provide information on demonstration activities and specific demonstration events. This way, any (registered) farmer can now create and manage its own “virtual demo farm”, by uploading content through quick and user-friendly forms for the different sections of the showcase. A wide range of sources and content can be uploaded on the site, and the farmer can create different multimedia galleries to illustrate and increase the visibility of the farm and the impact of their demonstrations. Finally, demonstration events can also be incorporated in an Events Calendar on the Hub, to offer publicity for the event. Also in the registered user section, farmers can now also visualise their “demonstration community” by linking other users of the Hub to their farm and to specific activities. These can be participants of their demos, facilitators, external demonstrators, hosts, innovation actors, advisers or organisations somehow related to their demonstration activities. Additionally, based on the farm information, FarmDemo Hub automatically detects and suggests relevant content, adapted to each user. The inventory of demonstration farms remains an important feature of the Hub, and contains now over 1000 demonstrations farms across Europe. Searching for farms in the inventory is now easier, with improved and more user friendly search filters. Also, it is now possible to export and download search results. Combined, these new features offer access to more and better farm-and demonstration-specific information, while the enhanced searching options boost the usability of the database behind the Hub.